Blockchain, by definition, is nothing more than an immutable, encrypted and decentralized ledger which offers the highest grade of transparency and security. Blockchain technology has the potential to automate and unleash the power of autonomy in every centralized process and activity. This decentralization and automation would mean that the relevance of intermediaries and authorities would be rendered obsolete, helping in the streamlining of all businesses and government activities. The potential that the blockchain technology holds is quite evident in the numbers and graphs that have been showing a positive trend. The blockchain space is expected to grow by about 43% in 2020. Information from LinkedIn reveals that blockchain-related jobs grew up by 300% from 2017 to 2018. The global spending on blockchain in 2018 alone amounted to $2.1 billion. The number of startups that work on or adopt blockchain for their everyday technology has been steadily growing and have a combined valuation of over $4.4 billion. These statistics present a wide spectrum of opportunities in the present and the ‘width’ is only expected to grow in the future. The applications using blockchain technology are still on their way to attaining mainstream acceptance when it comes to real-world implementation, and even at this stage, the possibilities look promising. Let us look at the applications of blockchain technology in the future. By a considerable distance, this is one of the most evident advantages of blockchain technology. It eliminates the need for trust in transactions. In retrospect, intermediaries exist only for this purpose. The blockchain in itself is all about eliminating the need for external validation of trust in transactions. While this might seem ideal, it has to be observed that some of the largest institutions in the world exist to operate as trusted third parties. Today, the landscape of mortgages require a complete network of title searches, insurance and needless to mention, an innumerable number of minor transaction fees needed to keep the system running. Diving deep, it can be understood that these systems exist only because of the process that requires trust. Blockchain, however, can, with its innate property of being a ledger which has verifiable and validated history of transactions, minimize the need for institutions that provide trust services. This would mean that mortgages can be executed at a fraction of cost and time without suffering any losses. What might have been a scene straight out of a sci-fi movie in the 1970s is a reality today. Autonomous vehicles or self-driving vehicles for the commons is considered a viable technology, not only in the testing phase but even for practical purposes. However, one of the biggest deterrents in making them hit the roads is cybersecurity. People with malicious intentions can hack into your self-driving vehicle and can intercept it remotely. You might not want to see your car steer sharply towards a canyon when you have no control over it. With blockchain in place, the era of self-driving cars is not far into the future. The decentralized nature ensures top-notch security which would make every driverless car essentially untouchable without any loopholes. Blockchain has literally made cybersecurity cascade down to real-world security. As Bitcoin is to the blockchain, so is Xerox to photocopy – it is a case of how a brand became bigger than the technology or the utility. However, blockchain is slowly reclaiming its well-deserved glory. In 2017, it became the second most popular search term on Gartner, and Deloitte has predicted that blockchain will overshadow cloud computing and Internet of Things when it comes to venture capital investment. The new technology has the potential to address a lot of security concerns including contacts, identity and fraud management. In finance and retail domains, it will help organizations to conveniently vet their customers and avoid instances of fraudulent activities. It has to be understood that blockchain is quite nascent and is just a decade old. There will be a time when it will become mainstream, and it is closer to the present than anyone had thought it would be! The Australian Stock Exchange, for example, has announced that it will use a ‘distributed ledger technology’ for clearing and settlements, which cannot be anything else other than blockchain. One of the features that blockchain technology has succeeded in is, redefining security. This ‘redefinement’ can perfectly complement the utility of the internet where instances of malware, phishing, spam, hacks, and denial of services paint a dubious outer coat. The blockchain is designed to be immutable and it would mean that no one can go back to a certain point on the chain and change the information in that particular block. The fact that it has only been subjected to a very few hacks ever since it came into existence is a resounding testimony to the security that it can provide. Blockchain can also be used to store sensitive information in the fields of healthcare and logistics. Smart contracts have eliminated the need for intermediaries when it comes to legalization. Smart contracts are evolving, and in the next five years, they are in the process of becoming more user-friendly and easier to code. It is bound to usher in a new era in data security. Digital marketing has been instrumental in transforming the perception and expectations of marketing. However, there have been instances of activities like bot traffic, lack of transparency and domain fraud. Since the incentivization of the ads is not completely linear, both advertisers and the publishers begin to feel that they are losing out on their money. If the bad players who intend to engage in click fraud are reduced, publishers can also collect the higher commission and the advertisers will also get better value for their spend. Digital marketing in itself is still evolving, and when it comes to incorporating blockchain, it is still more nascent. It will take time to see how the new collaboration can help this business become better. We have seen that Bitcoin can process 7 transactions per second and Ethereum can process 20 transactions per second. Comparing this with large payment systems, Visa can handle 24000 transactions per second. The technology still needs to catch up, and the good news is that it has the potential. However, in all of this, blockchain has to be given its due credentials – in spite of being new and with its path-breaking attributes, it has still managed to challenge the classics. Blockchain has seen practical utility when it comes to handling records of low-frequency transactions as seen in Hyperledger Sawtooth – a private blockchain that handles and tracks the ownership of Food Products with Walmart with a goal of zero wastage. However, when it comes to enterprise level applications, we are looking at a scenario where the ownership of the ledger will be shared by a group of users who might even be competitors. This makes the establishment of governance rules extremely democratic. The Chairman and CEO of IBM, Thomas J. Watson, once said that there is a maximum need of five computers around the world, and we all have seen how the company itself is proving its prediction false every day. 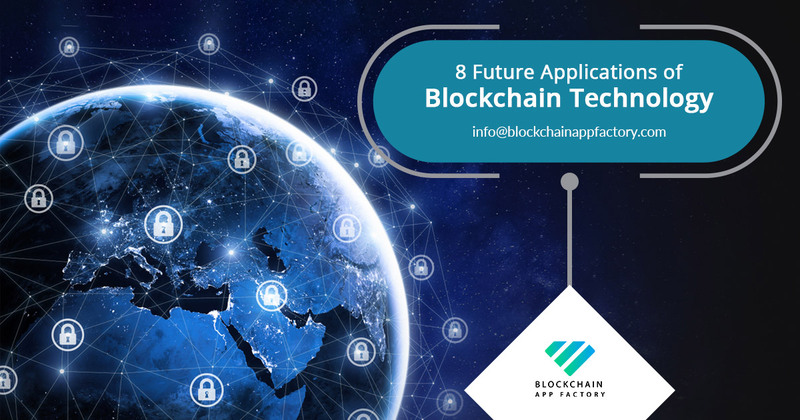 Given these instances, the utility of blockchain might be grossly underestimated, and with companies like Blockchain App Factory constantly striving to make its utility better and practical, it will not be late before decentralized applications provide enhanced security and transparency – all thanks to blockchain!